How Accurate is the i1Pro 2, Anyway? The X-Rite i1Pro 2 occupies a unique place in the color measurement world. 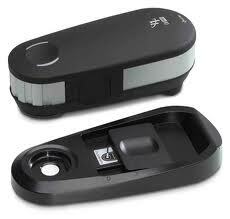 It is the only example of a truly affordable spectophotometer. Priced at around $1,000, the i1Pro 2 costs 1/6 of the next cheapest spectroradiometer on the market. This makes it an extremely attractive product for the average consumer. To be sure, the i1Pro 2 has some shortcomings that explain its relatively low cost. Most importantly, the instrument has a relatively low optical resolution of 10nm. For reference-level measurements, 5nm is generally required. For emerging display technologies, such as laser, an even higher resolution may be needed. Low-light sensitivity is not great. For all practical purposes, the i1Pro 2 really should be used in conjunction with a colorimeter to enhance low-light readings. The X-Rite i1 Display Pro is an excellent choice. Manual dark readings must be taken. The purpose of a dark reading is to measure the inherent noise of the instrument, which then presumably cancels out this noise thus increasing the instrument's signal-to-noise ratio. Considerably more expensive spectros include automatic dark readings as part of the measurement process. Interestingly, the i1Pro 2's dark reading is considerably more effective than the dark reading taken by the original i1Pro. In most cases, a single dark reading at the beginning of the calibration session is sufficient. With the original i1Pro, you really had to take a dark reading every 10 or 15 minutes. I wanted to test the accuracy of the i1Pro 2 on several display types by comparing its measurements with a true reference instrument, in this case the Colorimetry Research CR-300. The CR-300's 2 nm optical resolution ensures its status as a reference source. Here are the results. The xy values report the difference between the i1Pro 2 reading and the CR-300 reading. As you can see, the i1Pro 2 comes reasonably close to the reference. The worst result was with white on a Sony LED (dE 2.66). In fact, at least measured by dE, white point accuracy provided the largest error in almost every case. However, CRT and front projector (UHD) white measurements provided dE values of less than 1.0. NOTE: different dE methods will report different error values. 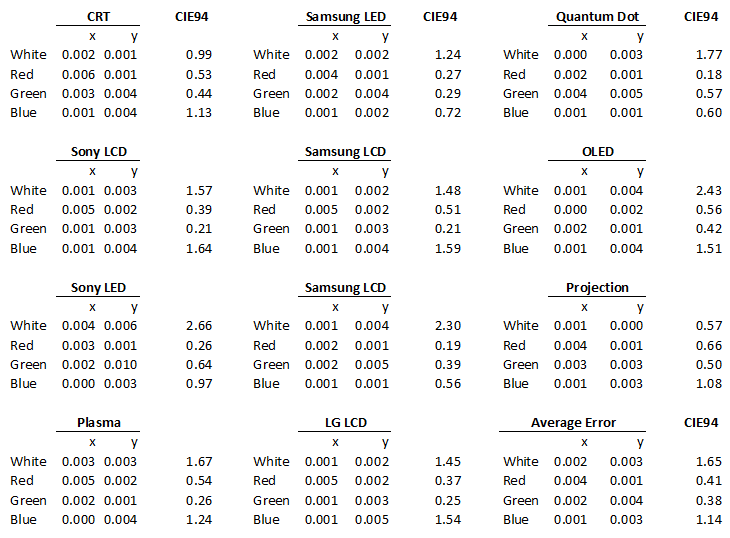 For example, that same 2.66 Sony LED white CIE94 error is 4.7 in dEuv. This is one of those cases in which formal testing reinforces a pre-existing opinion. If you had asked me before this test if the accuracy of the i1Pro 2 was sufficient, I would have given a two-part answer. Yes, it is sufficient for hobbyists and enthusiasts. No, it isn't sufficient for professionals. I believe that if you are charging clients for professional calibrations, then they are entitled to the accuracy provided by a 5 nm spectroradiometer.